Access a list of users you may know through our social circle recommendations. This means you may know these users based on your own connections with other users whom you have in common. If you don´t want your number to be searchable in the Truecaller app, then enter your phone number below including the country code and press “Unlist.” (i.e. +4690512214). You cannot resubmit your number to the directory. 1. 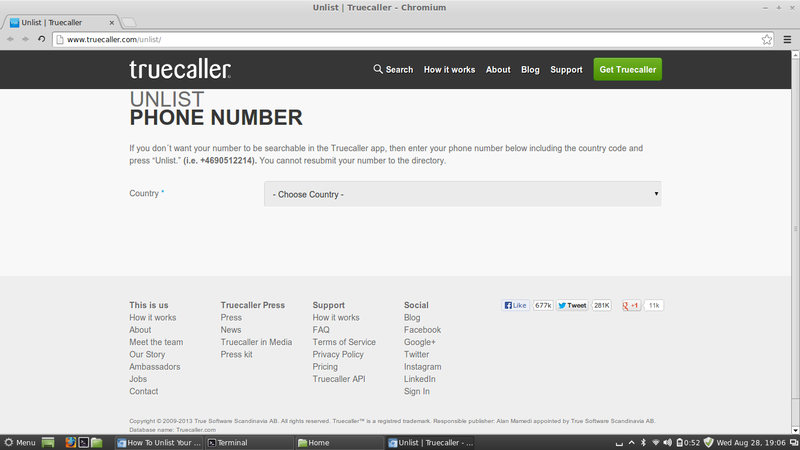 Click here and go to TrueCaller Unlist Page. 2. Here Select your country. 3. Now put your number and captcha. 4. That's All, now you are successfully unlisted. 5. In future It will not list your phone number again. 6. Whole process will take 24hr so wait for that.